You can write off most expenses on investment property and depreciate the rest. A key difference between owing investment property is that you can deduct far more expenses on your taxes than for your own residence. All typical and necessary expenses used to generate taxable income from rental property can be deducted against rental income, which you report on Schedule E of Form 1040. If you buy and sell properties as your investment, rather than renting them, you'll be taxed on capital gains rather than rental income, but you'll still report your expenses on Schedule C.
No matter what kind of real estate business you are in, you can deduct all of the mortgage interest and property taxes paid on your investment properties, just like you do for your personal residence. The lender will send you a Form 1098 with amount of interest paid. You can also deduct interest on any money you borrow to purchase, repair or maintain your assets -- even the interest on a business credit card. Use a separate credit card for business-related purchases to keep accurate records for your investment property deductions. If you hold property for more than a year, you can depreciate it, which means you write off part of the purchase price each year as an expense, until you've deducted the full amount. You don't get to do that with most investments. For residential rentals, you'll recover the cost in 27.5 years and in 39 years for commercial rentals. Depreciation is made on fair market value when the property was purchased. 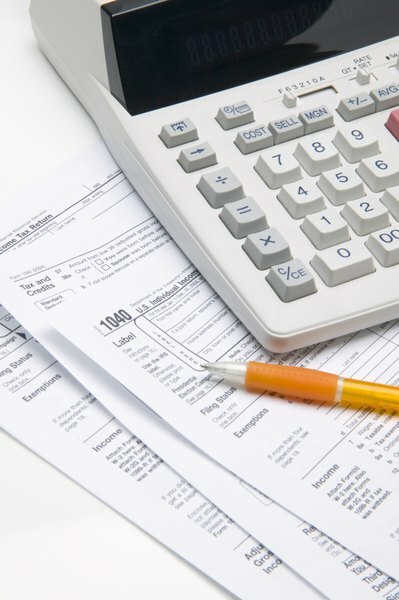 Calculating depreciation can get tricky, with all the rates and tables in IRS publications, but tax prep software or a tax professional can help you maximize your deductions here. Anything which increases the value of a property, such as a new roof, building an extension, new carpets or painting the exterior counts here. For rental property, improvements are not written off as expenses in the year the construction occurs, but must be depreciated as separate property, over 27.5 (residential) or 39 years (commercial) property. You can write off repairs, utilities, maintenance, even homeowners association dues, or any money spent to keep the property and the rental business operating in the year the costs are incurred. Take the deductions for these items on Schedule E for rental property and on Schedule C for other real estate investments on the appropriate line for the type of expense. What Is Unrecaptured 1250 Gain?